Chris Lytle, the popular longtime UFC veteran, will compete at Bare Knuckle FC 2 on Aug. 25 in Biloxi, Miss., officials told MMA Fighting on Monday. “Lights Out” confirmed the news that he would indeed be on the card. No opponent has been decided yet. 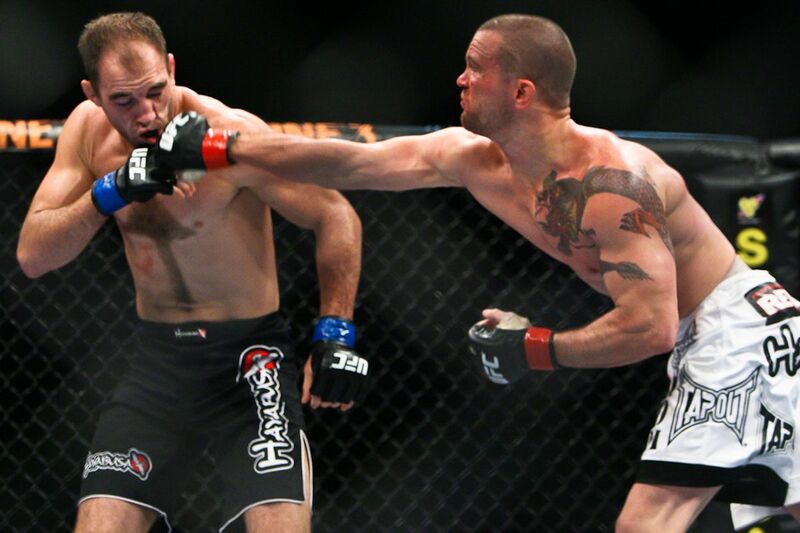 Lytle, 43, retired from MMA from in 2011 after beating Dan Hardy. During his career, he was known for exciting fights — six Fight of the Night bonuses and the first UFC athlete to ever win bonuses for Fight of the Night, Submission of the Night and Knockout of the Night. Lytle, an Indiana native, also has a decorated boxing background, including a 13-1-1 amateur record. In January, Lytle returned to competition at bare-knuckle event BKB 9 in England, winning by knockout. Also scheduled for Bare Knuckle FC 2 is the well-traveled and controversial Charles Bennett and Invicta FC veteran Christine Ferea. Bec Rawlings, Johnny Bedford and Tony Lopez, who competed on the first show, will return next month on the card that takes place at Mississippi Coastal Coliseum. Rawlings will face pro boxer Britain Hart, officials said. Bare Knuckle FC 2 will feature the semifinals of the heavyweight tournament that began on the first card last month. Sam Shewmaker will take on Maurice Jackson and Joey Beltran, an alternate, comes in to face Arnold Adams. Beltran is filling in for the injured Ricco Rodriguez. Beltran and Lopez tore down the house in bloody, back-and-forth war at Bare Knuckle 1 in Cheyenne, Wyo., a fight some called the Forrest Griffin vs. Stephan Bonnar of bare-knuckle boxing. That initial card was billed as the first state-sanctioned, high-profile bare-knuckle boxing match in the United States since the 1800s. Bare Knuckle FC 2 will be available on pay-per-view and through Fite TV.